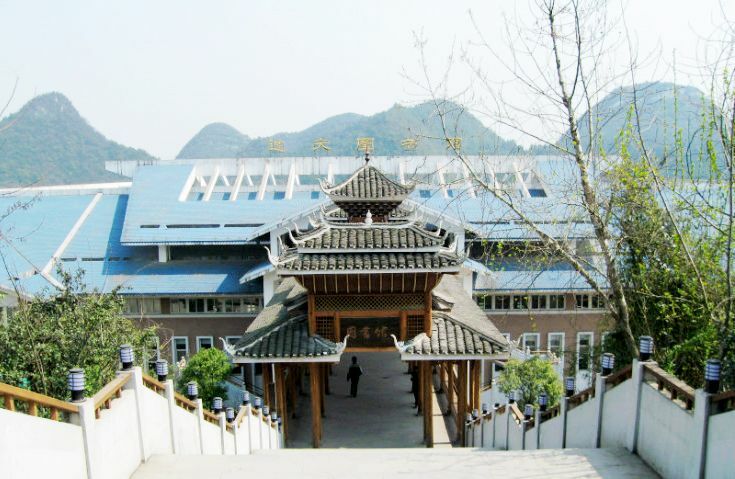 Guizhou Minzu University has a well-structured and well-developed staff. There are 1,571 staff on the payroll, of whom 1073 people are full-time teachers. Of the faculty, 180 have the title of professor (13 with the second grade), 563 vice professors; of the faculty 302 teachers have received PhD degree and 809 teachers have received master degree. There are also 431 doctoral and research supervisors. Among them, there are nearly 100 people such as the leading talents in “ten thousand talent” program, and the candidates in "One-hundred plus One-thousand plus Ten-thousand Talent Project”, the young experts who made outstanding contribution, the talents from “Four Batches”, experts enjoyed the special allowance from the State Council, the new century technological talents from Ministry of Education, the core professionals in Guizhou Province, and the “Qian Ling Scholars” from Guizhou philosophy and social science academy and so on. Through the practice and development over 67 years, the university has developed coordinately into a comprehensive higher education institute which involves 10 academic categories, namely, economics, law, pedagogy, liberal arts, history, sciences, fine arts, engineering, management and medical science. There are 19 colleges: College of Literature, College of Business, College of Law, College of Ethnography and Sociology, College of Ethnical Culture and Cognitive Science, College of Physical & Health Education, College of Foreign Languages, College of Media, College of Music and Dance, College of Fine Arts, College of Information Engineering, College of Mechatronic Engineering, College of Chemistry and Environmental Engineering, College of Material Science and Engineering, College of Architecture & Engineering, College of Tourism and Steward, College of Marx – Leninism, College of Preparatory Education and College of Adult-Education. There are two educational organizations: Graduate College and College of International Education. The university possesses well constructed computer network center, libraries, and stadiums. 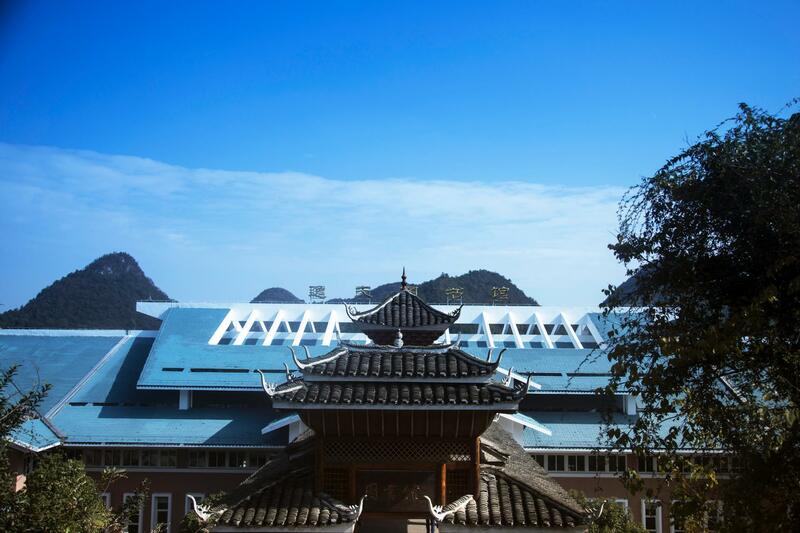 The university has 84 undergraduate majors, 10 master degrees with first-class disciplines, 51 master degrees with second-class disciplines, 8 professional master projects, 1 doctoral degree first-class discipline, 6 postgraduate workstations. On the national construction platform, the university has 4 national characteristic majors, 3 national professional comprehensive reform pilot projects, 1 outstanding national video open course. There are also 2 key disciplines, 3 research bases of the State Ethnic Affairs Commission, 5 provincial special disciplines, 6 provincial key disciplines, 8 provincial special majors and 7 provincial professional comprehensive reform pilots, 2 provincial key labs, 4 provincial experimental teaching demonstration centers, 2 Collaborative innovation centers, 3 humanities and social science research bases, 4 provincial graduate education and innovation bases, 2 provincial talents’ cultivation bases; 5 provincial teaching innovation teams and 1 provincial talents team of science and technology innovation. Over the past 5 years the teachers and students have presided over or participated in nearly 819 provincial and ministerial research projects, including 86 national projects, 2 key bidding projects of national philosophy and social science research and 1 major philosophy and social science research project in the Ministry of Education. The university faculty has received 78 awards and published 5,120 academic papers in journals above the provincial rank, of which over 1,288 of these essays are indexed by SCI, EI and ISTP and appear in key national journals, and published 206 books. The university attaches great attention to international education and academic exchange. The university has built collaborative relationship with universities in America, United Kingdom, France, Japan, Korea, Australia, New Zealand, Norway, Singapore, Holland and Malaysia as well as in Hong Kong and Taiwan. At present, there are about 378 students on the enrollment from 23 countries, such as America, Japan, Korea, Kazakhstan, Vietnam, Cambodia, Laos and other African countries. International cooperation projects include student exchange, academic exchange, teachers' training and research cooperation projects. Among them, there are 269 students with diplomas. International cooperation projects include student exchange, academic exchange, teachers' training and research cooperation projects.